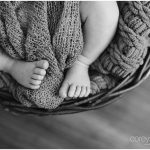 Pasadena Newborn Photography. Newborn Family Session. Little. baby. toes. Need I say more? It’s also so much fun to capture the new moments as older siblings are still discovering their new little siblings. These siblings are new little bundles of life that will pretty inevitably be their partner in crime and their very best friend. © 2019 Corey Morgan Photography – southern california wedding and lifestyle photography|ProPhoto Photography Blogsite by NetRivet, Inc.